Discussion in 'Gambling News' started by Marina, Sep 26, 2016. 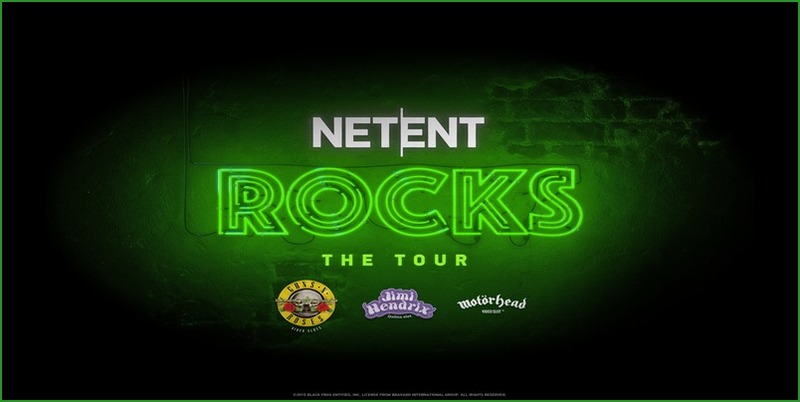 ICE 2015 and 2016, NetEnt unveiled its intentions to pay tribute to the music bands, Guns ‘n Roses, Motorhead and the greatest rock guitarist of all times, Jimi Hendrix. of the trilogy also came at a time when Guns ‘n Roses was in the spotlight due to a reunion of the band after many years, as well as the death of Lemmy, the founder of Motorhead. The first game in the NetEnt Rocks trilogy that went live in January 2016 was Guns ‘n Roses Online Slot. The game is based on the world’s most successful rock bands and truly honors Axl Rose and Slash across its 5 reels and 20 pay lines. The game is made that much more entertaining due to the famous soundtracks that Guns ‘n Roses fans will truly appreciate, including November Rain, Sweet Child of Mine and Paradise City. This game is huge on bonus features, including wilds and expanding wilds, the random Legend Spins feature which triggers three free re-spins and the Appetite for Destruction random wild feature. Look out also for the Solo Multiplier random feature which increases payouts by up to 10, as well as the Encore Free Spins feature and a Crowd Pleaser bonus feature – a pick and click, 3 level game. like the other two games in this series, is playable on desktop, mobile and tablet devices. Classic Hendrix songs such as Crosstown Traffic and Purple Haze feature prominently as soundtracks in this slot game. Bonus features abound in Jimi Hendrix slot, namely 2 in the base game and 4 in the Pick and Click mega bonus feature. These reward you with free spins, additional wilds, multipliers and more. We Loved the Purple Haze Free Spins feature which rewards you with up to 12 free spins and where certain high card symbols become wild for the duration of the feature. with a great intro video featuring the band’s biggest hit, Ace of Spades. Flashing lights, a toe-tapping soundtrack and a rock stage background all add ambience to this slot. rewards to reveal, while the random Boomber feature has also been well received among players. Mike and ADHD013 like this.